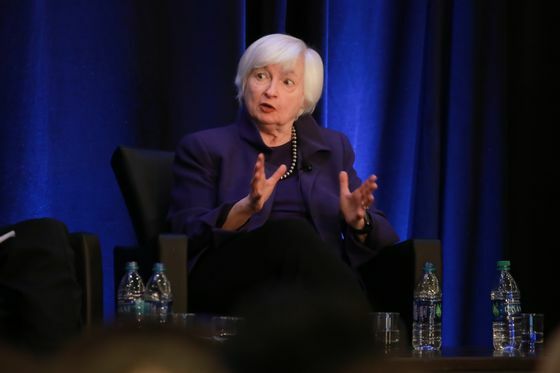 (Bloomberg) -- Former Federal Reserve chief Janet Yellen said she’s not a fan of modern monetary theory, saying its proponents are “confused” about what can fuel inflation in the economy. The former Fed chair said she was “not a fan” when asked about the decades-old theory, which has gained recent traction in the U.S. particularly amid a run-up in government debt. Yellen joins a list of well-known names such as billionaire investor Warren Buffett and former U.S. Treasury Secretary Larry Summers who have said they’re opposed to the theory.